Local media reports say that a Pakistani court has jailed 10 men involved in Malala Yousafzai’s shooting. 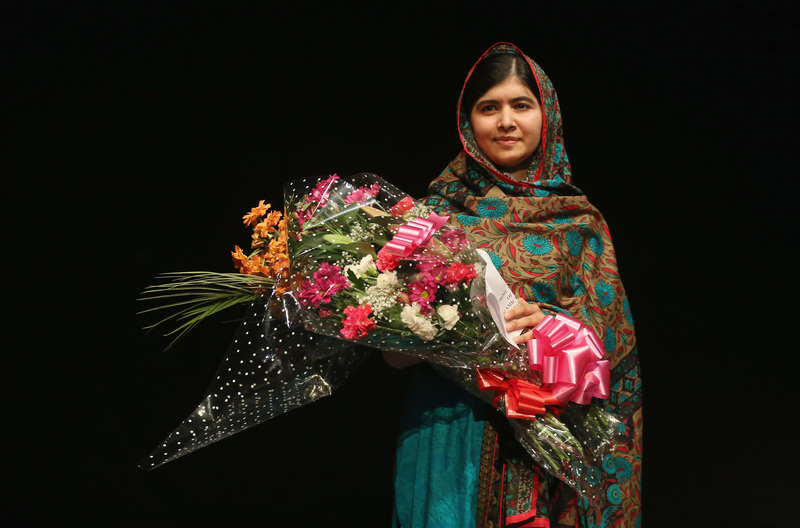 Yousafzai, an education activist and Nobel Peace Prize recipient, was just 15 when she was shot in the head aboard her school bus in Pakistan’s Swat valley in 2012. Yousafzai — who was left seriously injured by the attack — championed girls’ education from a young age, although the Pakistani Taliban claimed to have targeted her because she was maligning their insurgents. Ten men who helped to plan the attack were sentenced to life in prison Wednesday. The men, members of the Tehreek-e-Taliban Pakistan (TTP), were initially detained in early 2014, according to intelligence officials, but the news was kept confidential until September last year. The group’s capture was the result of a series of intelligence-led operations, The Guardian reported. Yousafzai came to prominence after writing a blog for the BBC under a pseudonym in 2009, detailing her struggles to become educated under Taliban rule. That year, she was also the subject of a documentary, which profiled her after the Taliban closed her school. The attack, on Oct. 9, 2012, was intended to kill Yousafzai, but instead left her with serious head injuries. She survived after emergency care at Pakistani army facilities, followed by surgery and rehabilitation in England, at Birmingham’s Queen Elizabeth II Hospital. Now 17 and recovered from her injuries, she lives in Birmingham with her family. In 2014, she was awarded the Nobel Peace Prize for her courageous campaign for women and children’s rights. On Wednesday, an anti-terrorism court in Swat — the remote northern region where Yousafzai spent her childhood — finally sentenced 10 men for her attack. Interestingly, the chief suspect, named as 23-year-old militant Ataullah Khan in the police report at the time of the shooting, did not appear on the list of condemned men, according to BBC. The sentencing comes nearly three years after the attack was carried out. This is a routine problem in Pakistan. We don’t have proper investigations, our prosecutors are ill-equipped to handle terrorism cases, and there is no system to protect witnesses so no one speaks up. According to The Independent, the four or five men who actually carried out the shooting were not among the 10 men sentenced Wednesday. "But certainly they had a role in the planning and execution of the assassination attempt on Malala," a police official said. The gunman who shot the schoolgirl is thought to have escaped into Afghanistan. Despite her youth, Malala … has already fought for several years for the right of girls to education, and has shown by example that children and young people, too, can contribute to improving their own situations. This she has done under the most dangerous circumstances.